The longest single canal in Britain and yet the least crowded, this canal is noted for its Yorkshire Dales scenery and famous canal landmarks such as the Bingley Five Rise locks. A one week holiday includes the best rural parts of the canal across the Pennines. Travel west from our Bases in the Skipton area and pass through the beautiful and dramatic scenery of the Dales countryside with its rugged moorland, limestone caves and gorges. Turn at Foulridge and return past Skipton, with its 900 year old castle and ancient street market, towards the Bronte country around Keighley. Take a steam train along the 'Railway Children' line to Haworth and its Parsonage, home of the Bronte sisters. Further east along the canal reach Bingley Five Rise, a staircase of 5 locks lifting the canal 60 feet from the Aire valley. If time permits, cruise to Saltaire, the Victorian village built by Sir Titus Salt for his workers, and visit the David Hockney exhibition in the former Salt's Mill. In a more energetic week it may be possible to cruise as far as the thriving city of Leeds, mooring outside the new Royal Armouries attraction. A week allows ample time to cover the central section of the Leeds-Liverpool Canal around the historic market town of Skipton, 'Gateway to the Yorkshire Dales'. The central section of the canal described above is a good one week holiday. Mid-week and weekend breaks are available from Bases 12 & 13(Silsden). 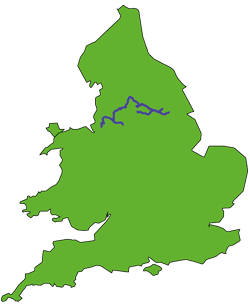 In a two week trip it will be possible to extended the above route over the Pennines through Lancashire to Wigan Pier, or to Leeds, or if really energetic, possibly to both.